Voted one of the Top Ten best motivational speakers in North America by Meetings and Conventions Magazine, Allison Massari's quintessential story of courage and perseverance resonates with healthcare audiences long after an event has finished. Hailed by audiences worldwide as "life-changing" "riveting" "extraordinary" "bold" and "deeply moving", Allison instills the essential tools of self-mastery and teaches how to quickly access grace and resilience in the face of challenges. 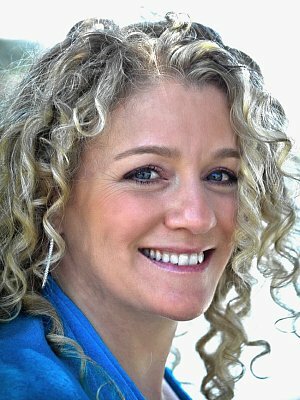 Passionate in her quest to transform the lives of both patient and provider, Allison's mission is to inspire, invigorate and support people in the everyday stresses of their jobs while facilitating a deeper connection to the patient experience and a palpable grasp of their power as healers. Allison has been recognized with esteemed speaking engagements including a main platform keynote at 2013's Million Dollar Round Table conference (audience of 8,600 from 75 countries) and a TEDx event in Spain. Her diverse client list includes: GE Healthcare IT, Eli Lilly and Co., HIMSS/CHIME, Teva Pharmaceutical Industries Ltd., The Beryl Institute, Allscripts, Kaiser Permanente and Siemens Healthcare. She has been featured on ABC, NBC and FOX networks and stars in the award-winning international documentary, Resolve, hosted by the Head of Special Forces for the US Military in Afghanistan, where she teaches solutions to overcome adversity and PTSD. Through her unified work as an international keynote speaker, executive coach and acclaimed visual artist, Allison provides an exceptional blend of business acuity, creative perspective and genuine care - profoundly affecting audiences worldwide. Allison's unique history offers an unprecedented perspective on the demands and challenges of the medical profession. Raised by her father, a cancer surgeon and her mother, a nurse, Allison was mentored in the world of medicine from an early age. Captivated by her father's compassionate work, she shadowed him in his practice and also worked in hospitals and medical office settings. Then, in 1998, Massari experienced firsthand the essential value of receiving personalized healthcare from devoted, empathetic providers when she survived a near fatal car crash. Hit at 60 mph, she was trapped inside her burning car, conscious the entire time and suffered second and third degree burns on over 50% of her body. Three years later, a second devastating collision caused her to sustain a closed-head traumatic brain injury. After collectively spending hundreds of days in hospitals, doctors offices and physical therapy centers, Allison learned to navigate her way to true healing, happiness and incredible success. Remarkably, Allison views her experiences as a gift, one that gave her tools and understanding to share with others. "The truth is that the same internal fire and 'command of self' that I needed to heal my life is exactly what has given me success professionally." Allison shares her journey of determination, courage and the rigorous pursuit of hope with warmth, passion, authenticity and awe-inspiring stories. Her singular history strengthens her ability to illuminate the integral and delicate nature of patient-centered care and discuss sensitive subjects without alienating audience members. In her stunning keynote, Allison shares how to triumph despite tragedies, how to thrive in turbulent times and how compassionate, patient-centered care can build an expansive, life-changing foundation for healing - for both patient and provider. Allison is a leading educator in healthcare - helping to heal burnout, offering support for compassion fatigue and providing a preeminent program on patient-centered care for Continuing Medical Education (CME) and Continuing Education Units (CEU). In addition, she addresses employees and industries who do not have direct patient contact, highlighting their invaluable impact on the patient. Allison's vision and clarity, her honest and encouraging communication and her gift in actuating the steps towards her clients' success, make her an invaluable asset to any organization. She adapts her message to address the individual issues affecting each market and has worked with diverse industries including Finance, Insurance, Sales, IT, Energy, Agriculture and Non-profits. A diversified entrepreneur, Ms. Massari has built four enterprising businesses in the past 25 years. In addition to her success as a professional speaker and executive coach, her thriving fine arts business and jewelry line, Massari Fine Arts, LLC, has received commissions from prominent Fortune 500 companies including General Mills, Lockheed Martin and US Airways. Her sublime and dynamic visual art serves as a breathtaking backdrop to her inspiring keynotes. Allison Massari's programs are jaw-dropping, heartfelt and deeply inspirational. You will hear and understand the answers to some of life's biggest questions. Clients refer to her speech as the "Survival Guide to Being Human". Allison is a fiery voice for the power of kindness and indestructible perseverance. She embodies her conviction that "Compassion heals the places that medicine cannot touch." (*Alternate Title Option - The Heart and Soul of Health Care) - Allison Massari knows that you have the power to transform lives. As the survivor of two lifethreatening car accidents, one where she was severely burned and suffered second and third degree burns on over 50% of her body, and spent years in recovery, Allison has a deep understanding of what it takes to heal. With sensitivity and compassion born from her experience, Allison shines light on the provider's immense value to a patient who is suffering, reinvigorating employees and helping heal healthcare burnout in the workplace. She explains, "The power of what you do goes far beyond the technical part of your job. You are healing the places medicine cannot touch. In fact YOU are the medicine." As an advocate for both patient and healthcare provider, Allison's program illustrates how kindness is a critical healing tool. Her unforgettable keynote stories reveal the potent impact that each provider had upon her journey, and how some of the most dramatic healing occurred in a matter of seconds. Those moments are vital to recovery. Despite time constraints and everyday stresses, participants will see that it's possible to quickly bring their humanity to a patient. This visceral knowledge uplifts and motivates participants, reminding each person of why they went into healthcare in the first place. Allison's breathtaking keynote illuminates the necessity of patient-centered care while offering a sincere and direct approach to transcending life's difficulties, and equipping participants with tools to manage change and adversity. Her life-changing message invigorates audiences to always find a way to be the healer in the room. Prepare to be taken on a journey. In this moving and thought-provoking keynote, Allison Massari teaches her listeners to find peace, purpose, and happiness, and gives them the tools they need to rise above any obstacle. As the survivor of two life-threatening car accidents, and having suffered severe second and third degree burns on over 50% of her body, Allison reveals her personal journey from absolute loss, to forgiveness and understanding, and finally to a success and life beyond anything she could have imagined. Through the power of storytelling, Allison weaves humor, surprise, and potent life lessons, allowing the audience to study what she learned on each step of her path. You will hear and understand the answers to some of life's biggest questions. This dynamic and deeply moving speech fortifies audience members with an inspired perspective and applicable tools for managing change and adversity. (* This keynote blends the programs above, specifically customized for leaders.) - Transforming healthcare to a state that accomplishes patient-centered care is critical: regulatory pressures, board and stakeholder demands, and doing more with less can individually or collectively serve as a game changer for a healthcare executive. In addition to these pressures, healthcare executives assume the role of coach, mentor, friend, motivator, and career counselor, while at the same time establishing and maintaining an executive presence.With keen insight and appreciation for the challenges faced by leaders in healthcare, Allison addresses the personal side to their work, which can be quickly forgotten with the pressures of the day. Be prepared to be inspired and to receive leadership lessons that are both surprising and life-altering.